Based on user (and webmaster!) 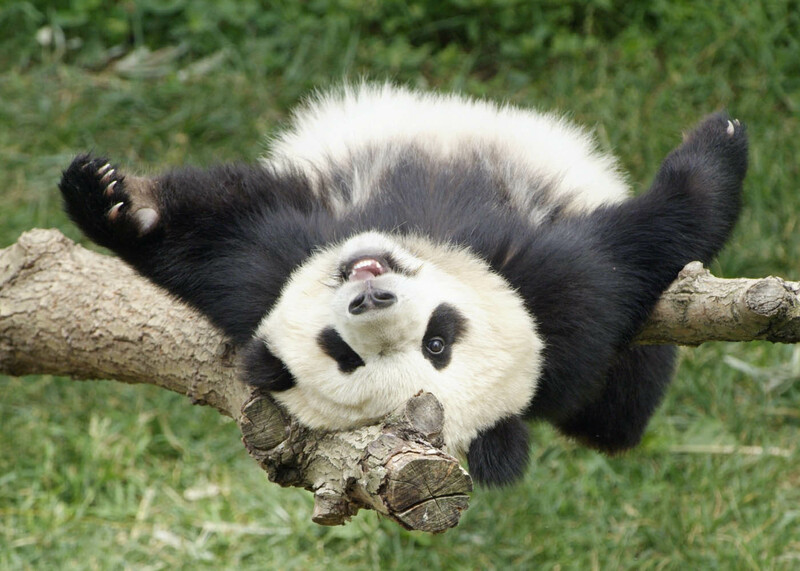 feedback, we’ve been able to discover a few more signals to help Panda identify low-quality content more precisely. This results in a greater diversity of high-quality small- and medium-sized sites ranking higher, which is nice. Depending on the locale, around 3-5% of queries are affected." Is the information on the site trustworthy? Is the content well written—i.e., free of spelling errors, factual inconsistencies, etc.? Are there multiple copies of the same content? Does the site have an excessive amount of ads on it? Is the content mass-produced or does it come from a variety of sources? So you can probably see that there's a common theme here: Targeting poor content practices. And as it turns out, there's a good reason for that. As we've mentioned in our other articles, many marketers love to inform their clients that “content is king”--and it is, without a doubt, an incredibly important part of the ranking formula. While there are many other factors that contribute to a site's rank, content is perhaps the most easily targetable and exploitable. You've probably visited sites with “spammy” content—poorly written, stuffed with keywords, repetitive, devoid of any real substance. And the experience probably wasn't fun, either. At one point, the spam had gotten so bad that it wasn't uncommon for someone to just take someone else's article, put it through a program to “spin” the text, and spam it across their website. And all without even being penalized by the search engines! Obviously, things haven't been that bad for a while. 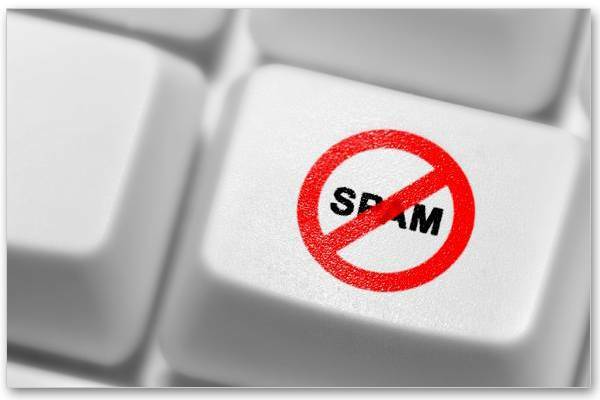 But Google still catches spammers employing these practices, and it doesn't appear that the spammers will stop trying to find these loopholes any time soon. So the Google team periodically tightens the bolts on the algorithm--it's the only way they can penalize the sites that seek to exploit the system. Unfortunately, this can end up putting the squeeze on legitimate businesses, too, because no adjustment is perfect. So it's understandable, then, that there are a lot of small and medium-sized business owners who worry that this (or any) Panda update will affect them adversely. If you're among them, the best way to improve your chances of recovery is to take a look at your content. And take a close look—really analyze it with an objective eye. Is it high quality? Do you update your site frequently? Does your site's design and layout look reputable and professional? Are you providing a real service to your visitors or are you simply spamming them with in-your-face advertising? If you can honestly say that you're providing everything you can to ensure a great user experience, there should be no concern! In fact, you may even notice a jump in your traffic. If you notice that you have been adversely affected by this update, don't worry too much. You can take a close look at where your site can improve and begin to seriously address those issues. Over time you'll notice your work paying off, and the next time a bigger Google update rolls around, you'll be able to climb the rankings again! Questions or thoughts on the Panda update? Let us know in the comments below! Has your Business Claimed an SEO Business Listing (US)? As we’ve discussed in previous articles, it’s absolutely necessary that your small business is listed consistently, clearly, and correctly across the internet. In order for your customers to find your store (or at least obtain your contact info if you work from a private address), they must be able to find your business listing on every search engine. If some of your customers use a search engine other than Google (and trust us, it’s guaranteed some will), a different local listing will appear by your name. So as you can see, you only make sure your listing is correct on Google, you’re going to run into some problems down the road. In this post, we’ll talk about the “3 C’s” of your local listing: Consistency, Clarity, and Correctness. Make sure your small business’s SEO business listing is consistent. Have you changed storefronts? Has your address changed in the last year or so? Did you just lease a new office? If you have, then you’re going to want to make sure that your new address is listed everywhere. You might change the address on one listing, while leaving another listing with the old address. And, unfortunately, if you start confusing the search engines with multiple addresses under the same business, you run the risk of hurting your rankings. This isn’t to say that you can’t have multiple addresses under the same business listing, however: If you run a business with three locations in your local city, you can specify this in your Google Places for Business page and make sure that all of your stores will be found. You’ve gone through the proper channels to make sure that your business has an address listed. 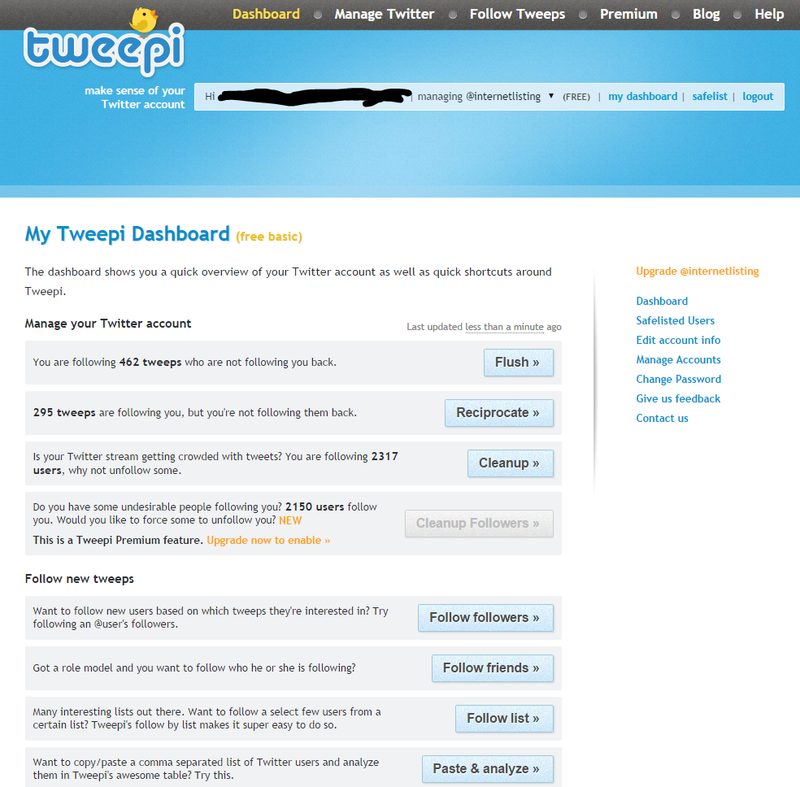 That the current addresses are listed across a number of sites. That your address is hidden properly if you need to hide it. Make sure it is hidden across all listings if this is the case! An SEO Business Listing must be clear and easy to understand. You’ve probably seen it before: A restaurant has a description on Yelp or Google, trying to entice customers with their eclectic menu and exciting happy hour. But the listing is full of gibberish, words are misspelled, and random nouns are capitalized because… well, who knows why? All of this takes away not only from the professionalism of the company, but from the ease of reading as well. Customers are less likely to visit your establishment if they can’t decipher what you’re trying to tell them. Therefore, you have to ensure that your business listing is clear and concise. Tell your customers that you have a great happy hour, and tell them that you’ve been in business since 1983 and have the best burgers in town—but you don’t need to list your whole menu and ramble on about every little detail of the atmosphere. Let your customers become interested through your description and find out for themselves how great you are when they visit. Check to see if your listing is too long. You might be interested in sharing every detail of your business, but your customers just want pertinent information. Make sure you’re clear in your listing: Is everything spelled correctly? Have you clearly stated where your establishment is and what it provides for its customers or clients? List all the information you’d want to see when you search for a service. Hours of operation, address, phone number, website, email, and a few sentences about how wonderful you are should all suffice. Above all, make sure your SEO business listing is correct. You can have your address listed across all major directories and listings, and you can write the best description in the world for your company—but if you have incorrect some information hidden in there, it’s all for naught. And, even worse, fixing an error of this magnitude is a pain. Before you press “submit” on any of your listing forms, make sure that you list all your most important information correctly. A great tip is to make a list before you start. What do you think is most important for your customers to know? Make sure to include it on you listing. If something can’t actually be listed, make sure that you provide a phone number or another way of contacting you so that customers can still get a hold of you if they have questions. You’ve made a list of all the information you want to include for your business. You’ve spelled everything correctly and included your most recent company info. You've filled out complete information and no partial addresses, phone numbers, or business hours! With these tips, you should be able to create well-rounded, effective, and helpful SEO business listings. Your customers want and need accurate information—and as a small business owner, it’s your job to make sure they get it. Your accurate listings will also make sure that your site (or at least your Google Places for Business page, if you don’t have a website) ranks higher in searches. You can’t go wrong with these strategies! As always, if you’re simply too busy to manage writing content, listing your sites across the internet, or updating your website/Google Places for Business page, you can ask Internet Local Listings for assistance. We have over 50 years of combined experience in the SEO industry and would be happy to help you with whatever services you need. From social media marketing to building you a custom website, we have the skills and expertise necessary to get your small business site visible on the internet. Call or fill out a contact form today for more information on your services—or feel free to start building your own SEO business listing using these tips! Be sure to subscribe for more updates. So you’ve hired internet marketing experts to take over the marketing strategy for your small business. You’re excited to see results and you’ve already begun paying for your marketing team to begin the work. You check your rankings the next day, and it seems that you haven’t moved up at all. You check again after a week, and things still don’t seem to be going as planned. At this point, you’re frustrated and ready to tell them you’re finished—you want to work with a different internet marketing company. If you feel like this, you’re not alone. Many small business owners have felt the exact way you do—so in this article, we’re going to talk about making the most of your experience with internet marketing experts, and what you can reasonably expect while implementing your marketing strategy. Internet marketing is not an overnight process. 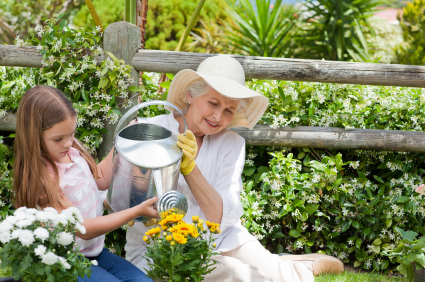 When you hire a gardener to plant your garden and tend to the plants as they grow, you know the process will take time. 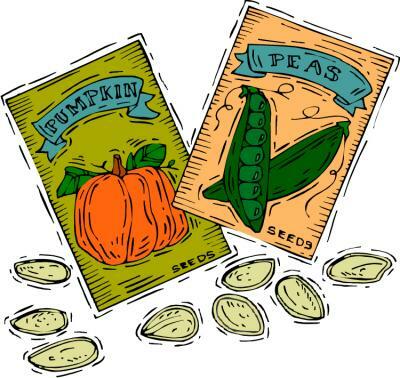 You don’t expect a seed to germinate into a blooming flower the next day! The same thing goes for marketing. Internet marketing experts need to take a look at your individual case and plan accordingly. For example, some clients have zero presence on the internet—no website, no local listings, no blog. Others have been doing their own work and simply need assistance managing social media or content distribution. By the same token, there are industries in which there is a lot of competition—HVAC, roofing contractors, and auto mechanics. Other industries have an easier time ranking because they are one of a few businesses that provide a service in an area—people like dentists, medical specialists, or even psychics. Everyone’s case is different, and everyone takes a different amount of time to begin appearing on the first page. So how is this possible? Well, Google combs through data on a daily basis, and it begins to compare this data over time. So it makes sense that it’s not going to find your site, immediately deem it the “most relevant” and put it at the top of the search results above all of your competitors. It takes time for Google to weigh and determine site relevancy, so you must be patient as this process takes shape. 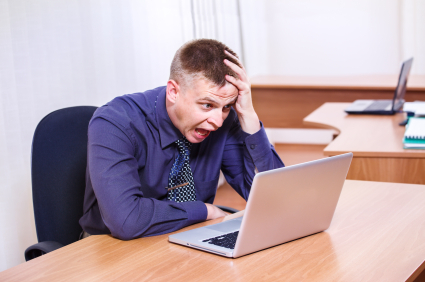 Changing things without consulting your marketing team can result in setbacks. If you’re feeling antsy about a particular keyword not showing up, you might feel like you want to get rid of it and choose another. But if you go into your blog or Google Places and begin changing keywords around, you’ll eventually find that you can easily undo all the hard work you’ve put in already--even if you meant well. This isn’t to say you can never (or should never) change keywords—sometimes, you find that you’ll just stay on the second or third page indefinitely with the amount of competition you’re facing. In this case, talk to your marketing team and determine new keywords to use. Over time, you’ll hopefully see improvements for these terms. If you don’t see any new traffic growth over the first few months, then you definitely need to take a look at what’s going wrong and make adjustments accordingly. The main lesson here is to not go ahead and do things without consulting your team. You are, after all, paying them to help you rank. You should always understand one another and what your goals are. If there is no communication between you and your marketing experts, then you’ll essentially be throwing away money. You need to work together! Get involved and learn about the process. 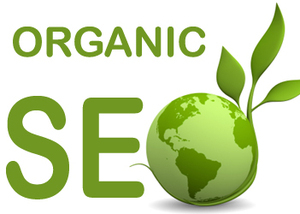 Back to Basics #3: What is Organic Ranking? If you’re just getting started with the internet marketing aspect of your business, you have probably heard a variety of unfamiliar terms already, from “SEO” to “analytics” to “content marketing”, and others. The phrase “internet marketing” itself works as sort of an umbrella term for a number of related topics. That’s because internet marketing is a complicated subject, and as such, there are a lot of areas that need to be explored when planning a marketing strategy. So it makes sense that there are some industry-specific terms that you’ll have to learn if you want to improve your knowledge. But perhaps one of the stranger terms you’ll come across when you’re just starting out is “organic ranking”. While it sounds a little bit like a weird judging system for the produce at a farmer’s market, it’s actually a lot simpler than that. Let’s talk a bit about what organic ranking is and how it pertains to your company’s internet marketing strategy. 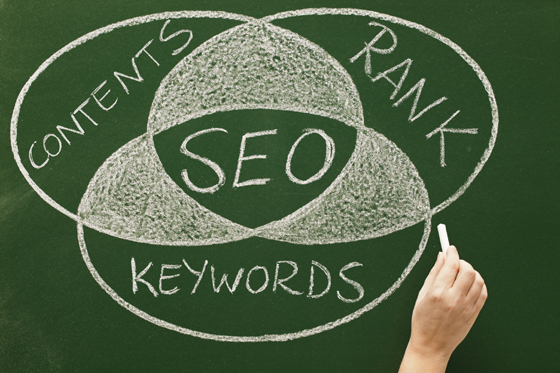 Ideally, you want to attain organic ranking for highly-trafficked keywords and keyphrases. After all, the more people who search for a term related to your business, the more traffic you’ll get. But unfortunately, this also means that there is going to be a lot of competition for these keyphrases. And, as you know, the search engine only returns a limited number of results, and most people aren’t going to click past the first page. So you really have a limited section in which to effectively rank. How do I Improve my Organic Ranking? First of all, what is organic ranking to you? Is it worth investing in—i.e., with an advertising budget? Is it something you’d like to try to do on your own by spending as little money as possible? Or is it something you’d simply like to understand better so that you can gauge how your site is doing in comparison to your competitors? All of these are great reasons to learn a bit more about how to improve your organic ranking. This article won’t go into too much depth about this topic, but we’ll provide three solid examples of proven ways to help boost your organic rankings. Define a list of keywords. If you don’t know the address of your destination, you don’t have a very good chance of getting there. It works the same way with organic ranking. You need to know what people are looking for before you can create a plan for them to find you. Take a look at the keywords your industry. Which are being searched for often? When you search for your competition, what do you type in to get their page to pop up? When you check Google trends, are your keywords and keyphrases showing up? Spend some time figuring this out. 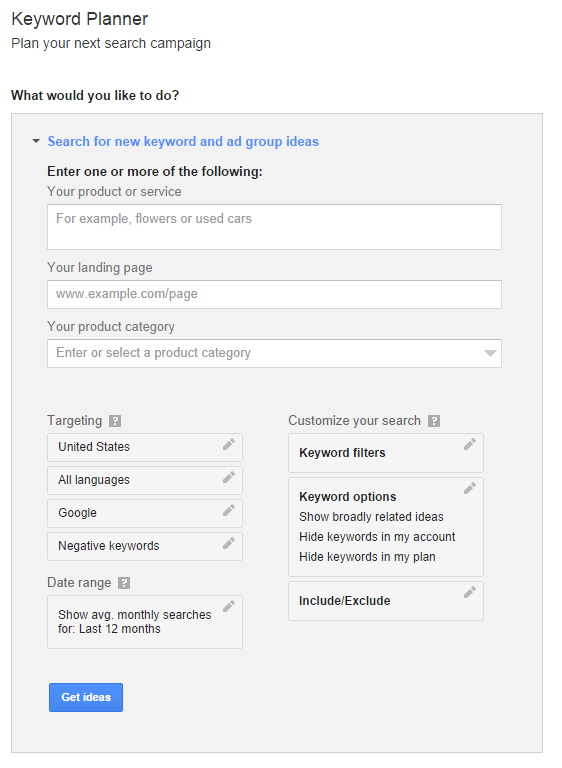 You can use Google Keyword Planner to do some research as well as Google Trends. 2. Understand the behavior of users. Without going into specifics about user experience and all the intricacies of demographics and gender, you should take the time to consider how your customers will use search engines. Are they going to be looking for your address or storefront? Make sure that you have your business on Google Places so they can find you on a map. If you have a Yelp page, make sure it’s filled out completely. Search engine users want results to be quick and easy to find, so be sure to help them out as much as you can. It’s also interesting to note that people click on organic search results 94% of the time—as opposed to 6% of the time for paid ads. 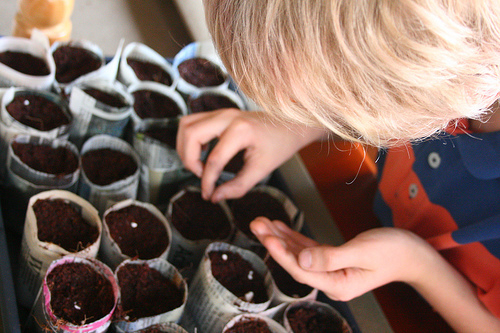 So you’ll want to make sure you’re coming up organically to net the most clicks. 3. Write your own content. Who knows your business better than you do? Nobody. You should update your site regularly and provide visitors with fresh content. Not only does this give them an incentive to return and see what’s new, it also tells the search engines to come back and look at your page more often. Over time, this will help your organic ranking. 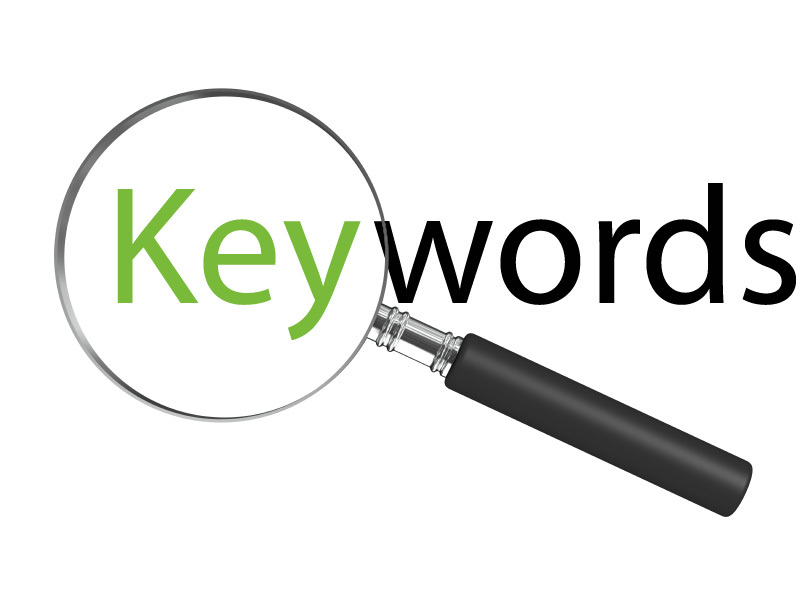 Use your keywords and keyphrases in your articles. And if you’re concerned about your writing skills, you can always send ideas to a qualified writer, and they can craft a post for you. What is organic ranking going to do for you? It will help your site get found in a sea of competitors. 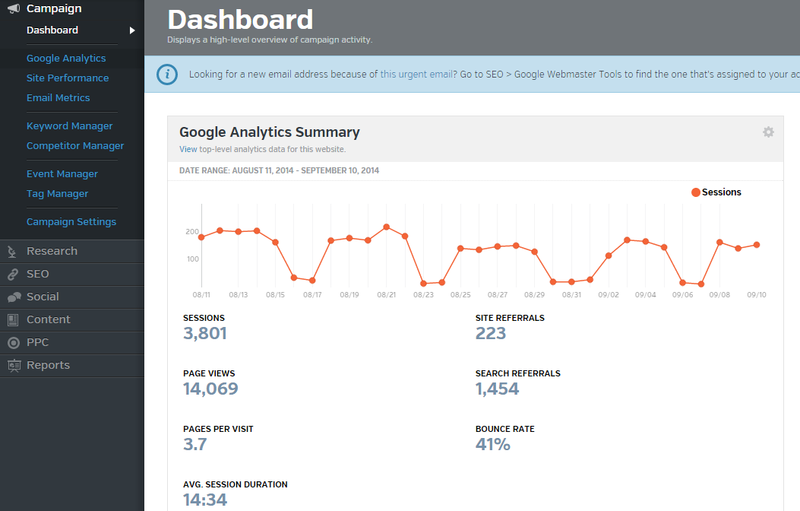 It’s important to remember that organic ranking takes time and effort. You can choose to learn more about it and tackle it head on, or you can always hire professionals to assist you. At Internet Local Listings, we’re proud to offer services to get your business ranking organically. It still won’t happen overnight (we’re not really wizards, though we pretend to be sometimes), but we can get you ranking for at least 2 keywords—sometimes more—in 60 days or less, or you don’t pay us until you see those results you want. Visit us or fill out a contact form to find out more. No matter what you decide to do, remember one thing: Successful organic ranking means you will be found by your customers—and failing to rank organically means you lose out to competitors. In a fast-paced, results-driven world, you definitely want to be the former. If you’ve found your way to our blog, you’re probably doing research on how to find the best SEO services for small business. Chances are that you’re a small business owner yourself—or maybe family or friends are local business owners. Whatever the case may be, you’ve come to the right place. Internet Local Listings is an SEO company with over fifty years of combined experience in the internet marketing industry. 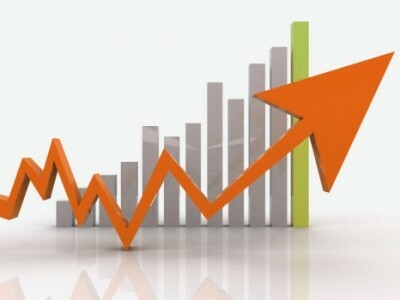 And throughout the years, we’ve helped small businesses just like yours increase traffic to their websites. Before you invest in an internet marketing company, there are a few things you should consider. At Internet Local Listings, we’d be honored to have the chance to show you just how we can help your company be seen online. But how do you know you’re choosing the best SEO services for a small business? The company will get you listed across the internet. One of the most important things for a small business is to be found in local listings and directories. This means that your company name should pop up in places like Yahoo listings, Manta, Whitepages, Brownbook, and so on. The more places your company name, address, and phone number appear, the better chance your customers have to find you no matter which directory they choose to use. Think of it as the new way to use the yellow pages. You’re being provided with a social media platform to reach your customers. In this day and age, everyone is on Twitter, Facebook, LinkedIn, and a number of other social media sites. If you don’t have a strong social media presence online, you’re missing out on an opportunity to connect with customers—and you’re probably losing sales, too. A good SEO company will build social media platforms tailored to your company so that your customers and find and interact with you online. You’re seeing fresh content and updates. If your company offers custom-created content for you, it should be updated on a regular basis. Not all websites have blogs, however, and if this is the case for your small business, you should at least make sure that your website is up-to-date and your social media sites are serving as a mode of timely communication with your customers. The company offers a website package. A company offering custom-tailored SEO services for small businesses should have a website option. Many small business owners don’t know how to build a site, much less have time to update it regularly. Internet marketing companies need to understand this to be able to cater to a small business’s needs. Be wary of the SEO service that doesn’t work with you to make sure you have a great website. The company doesn’t promise the moon and stars. This sounds negative, but it really isn’t. SEO is a complicated business— and because of this, many small business owners don’t understand the ins and outs of the industry. And that’s fine. After all, that’s why you’re hiring the pros! However, it’s important that you arm yourself with basic knowledge of how the marketing process should work. It’ll save you the heartache of partnering with people who don’t understand how to work with a small business, or worse, a company that promises to deliver everything when really, there’s no magic formula to get everything working in a short amount of time. Plus, it will instill realistic expectations and the patience you need in order to work with the pros so that they can get the results you’re looking for. The long and short of it is, if it sounds too good to be true, then it probably is. You can’t expect results that blow your competition out of the water overnight. It’s simply impossible to pull off! Now that you know what the best SEO services for small business should offer, how do you know if the company you’re working with is being honest and upfront about your account? How do you know if you’re investing in a successful long-term plan, or if you’re being taken for a ride? An honest SEO company will get you listed in local directories immediately and then go to work on other marketing services—blogging, building a site, setting up a social media platform, etc. Ranking will come in time. An SEO company can set everything up the way Google likes, but Google will take its sweet time combing through data and reorganizing search results. You will see your hard work pay off in a first-page ranking—but it takes time. That being said, if your SEO company promises to get you ranking in 30 days for any keyword, you can bet your bottom dollar that you’re going to be sorely disappointed. At Internet Local Listings, we can get you ranking in 60 days or less for two keywords—and sometimes more! Even though this might sound paltry to a small business owner who has never invested in SEO, this is a realistic and effective goal. Ranking for only two keywords at Internet Local Listings, we’re confident that we can get you real results you can see in a reasonable amount of time. An honest SEO company will also tell you if things aren’t working out as planned. At this juncture, you can work together with the SEO service to tweak keywords, or you might choose to find other ways of getting your name out there. With high-competition industries it can take a bit more legwork, but you will still see results if you stick with it. There’s no magic formula to success, so you have to be flexible and think long-term for the best results! A dishonest company will not want to put the time in to work with you on these things. Don’t let this happen to you. Choose Internet Local Listings for SEO Services for Small Business! Whether you’re looking for a simple small business SEO package or you’d like something a little more in-depth, we have it all at Internet Local Listings. We hope you enjoyed this post, and we would be honored to take care of your small business’s marketing needs. Simply fill out the contact form or give us a call at (888) 770-3950! 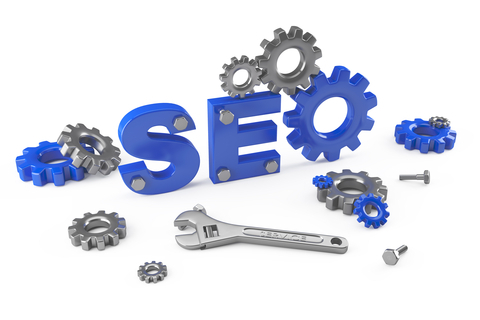 See how our affordable SEO services for small business can help you. Learning to market your own website can seem like an extremely daunting task, particularly if you’re new to being online. But there’s no need to worry. All it takes is learning a few easy tricks and you’ll start seeing improvement on your site’s ranking. So what’s the easiest way to improve your site’s ranking without spending a fortune? By learning a bit about content creation. Content creation is one of the top ways you can improve your site’s rankings because Google places a lot of value on websites with valuable content. This means that the successful sites update often with helpful posts. Google also particularly likes posts with pictures and great formatting that includes using bolding and italics. In this post, we’ll go over the top 3 easiest Google ranking factors to start implementing on your site—once you’re armed with this information, you’ll be ahead of the game! Your clients would find all of these posts fun, entertaining, and useful, and they’ll surely enjoy coming back to check out your site to see your new content. You can use these posts as a way to pitch your business as well—just include links to relevant products and services at the end of the posts! Use images in your posts. 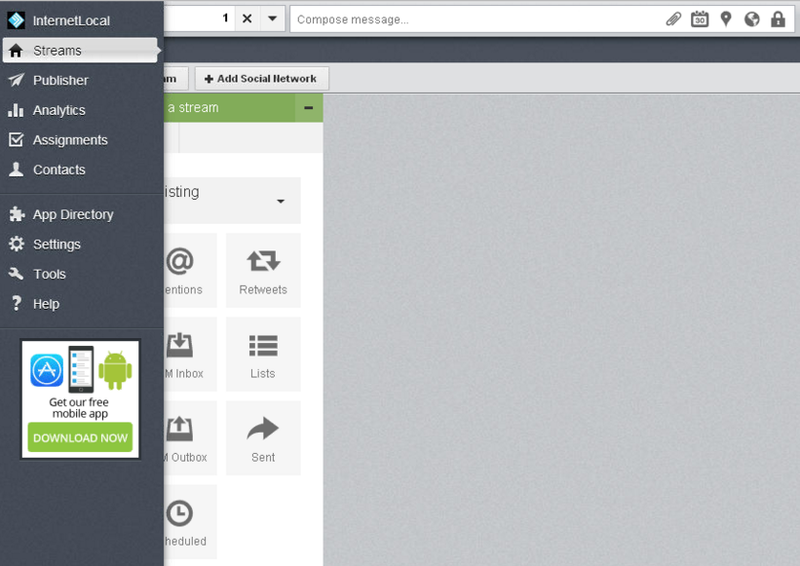 You’ll find the file name, alt text, title, description, and caption in your blog’s image editor. 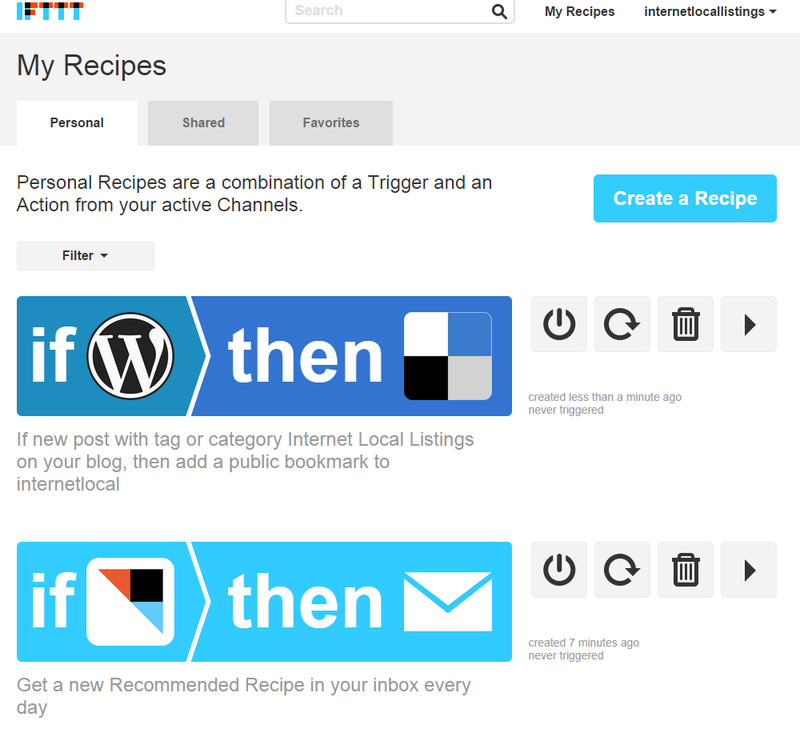 Wordpress makes it very simple and intuitive. 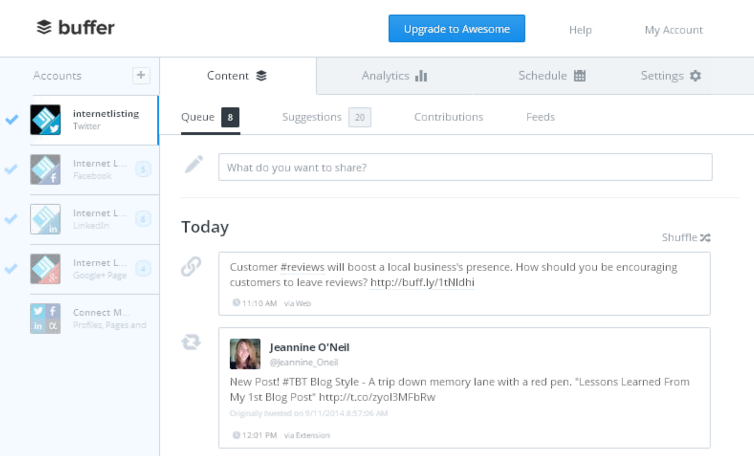 You can do it all from an organized “dashboard” while you’re crafting your post. 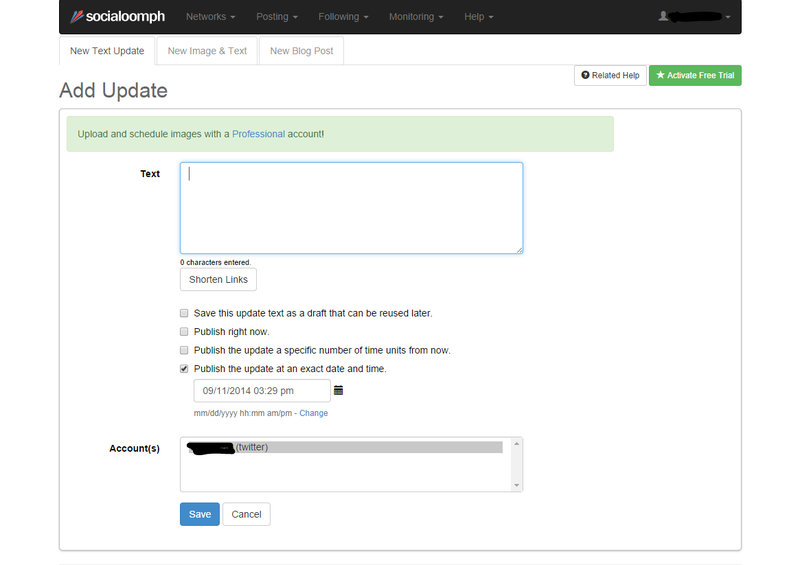 If you’re having trouble understanding how to use an image in a post, here is a great tutorial at ManageWP Blog. Once you get the hang of it, you’ll wonder why you haven’t been doing this already! Use title tags and repetition. Salon Hair Products: Worth the Price Tag? The first title would be better simply because “salon hair products” appears at the beginning of the title. However, both utilize the keyword, so they’re both good choices. One of the most important Google ranking factors to this day is the repetition of the keyword or key phrase. When Google scans your content, it will pick up on phrases that have been repeated. It will see this as relevant, and thus, you’ll rank higher for that keyword or key phrase. This is all well and good, but it’s also been one of the most heavily-abused ranking practices. You must be sure that when you write your content, your keywords fit in without being referenced too often. There is no magic number to aim for, but use it a few times in a natural way and you should be fine. 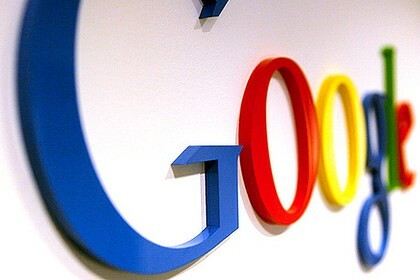 There’s so much more to ranking on Google than what was discussed in this article. But the information you’ve received here should help you learn the basics of blogging for search engine optimization! Now, as a small business owner, you can certainly take the time to craft your own posts according to these rules. However, unless you become an expert in the content marketing industry, you won't be able to match the results you'd get by hiring professional writers. This is also a time-consuming endeavor--you must update frequently to see results. So if you find yourself strapped for time and want to get the best services available, you can always give Internet Local Listings the chance to create great content for you! Simply call us or fill out our form here and we’ll be happy to talk to you about how we can put all the important Google ranking factors to work for your business. This is the first post in the "Back to Basics" series. To stay caught up on posts, follow our blog and posts will be sent directly to your inbox! If you’ve been following our blog, you’ve probably noticed that we talk a lot about search engine marketing and optimization. And while that notion is easy to grasp, some of the terminology surrounding the subject can be a bit… exclusive. If you’re feeling a little in the dark about what internet marketing entails, then this post is for you. If you’re already well-versed in the intricacies of SEO, then you may enjoy reading about how to increase customer engagement, or our tips on implementing new marketing strategies this summer! As you’ve probably gathered, SEO stands for Search Engine Optimization and it refers to the process of crafting a website and its content around the algorithms search engines use to rank search results. It sounds confusing—and when you get into the details and science of it, it can be—but the concept is actually not very difficult to grasp. SEO covers a number of industries: Search Engine Marketing, Internet Marketing and Advertising, Content Syndication and Marketing, Social Media Management, and more. You don’t necessarily need to understand exactly what all of these terms mean, but it’s important to understand that SEO isn’t a precise science, and that it is applied across a number of industries—it’s dynamic; not static. The good news is that for most small businesses, having a rudimentary understanding of SEO is enough to get started on improving your search engine rankings. So let’s go over a few things that you’ll need to know to understand the science of internet marketing! Content is king. If you haven’t heard this one yet, you’ll definitely start hearing it now that you’re looking for more information on search engine optimization. What is SEO without content? It’s an incomplete effort at best. To rank better on search engines, you’ll need to provide the robots that “crawl” data on the internet with new and fresh content. And how do you do this? The easiest way is to start a blog. You can also opt for frequent social media posts, but you should note that in this case, the search engines will likely rank those sites higher than your own website! Organic results are best. Organic? As in, like the food? No, not exactly. Here, “organic results” means the results that pop up when you search for a specific phrase. Let’s say you’re looking for information on how to install your own windows. You’ll search for something like DIY window installation or installing your own windows. The results that pop up are “organic” search results. What is SEO’s role in this? Simple: You want to get the search engines to rank you for these kinds of terms, which are otherwise known as keywords. Do some in-depth keyword research and build your content around the best choices for your industry and local competition. People love social media. In fact, chances are, you’re already on Facebook, if not a number of other social media sites. Most of us are on social media in some capacity today, right? And it’s important that your website and company are listed across a few choice social networks as well. Not all industries are the same and thus not all social media platforms are suitable for everyone. Look at your competitors and see what they’re doing. Then create your profiles and start gathering your own fanbase. So then, what is SEO in relation to social media? The more you update your social media sites and interact with fans, the more attention you bring to your sites. 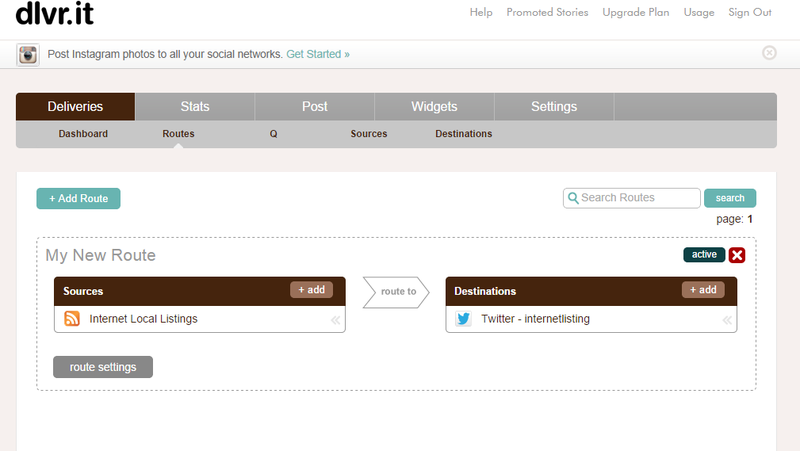 Your social media pages will also appear in search results when customers search for your business’s name. What is SEO to a small business? Your small business may already be ranking fine for a couple of keywords. But the thing about SEO is that it’s a fickle beast—between Google, Bing, and Yahoo!, ranking algorithms are changing all the time. It can be difficult to stay caught up on all of these factors, particularly if you don’t have a dedicated marketing team. Chances are you’re doing this mostly on your own. And when you’re trying to run your business, do you realistically have the time and resources to spend learning about best SEO practices? Probably not. These few tips should help you grasp a few of the main components of ranking—providing fresh content, choosing good keywords, and setting up social media accounts to connect with fans and customers—but the science goes much deeper than that. 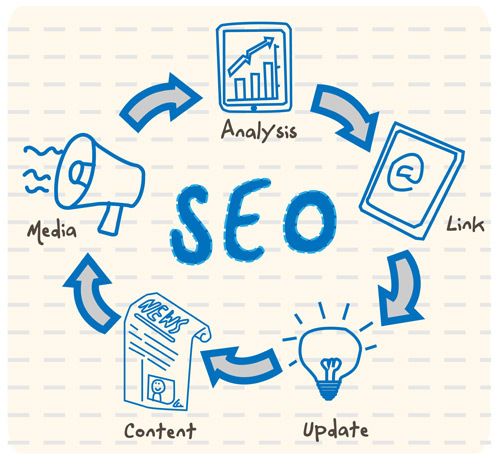 Search engine optimization is a necessity if you want to succeed as a business online. If you’re interested in learning more about this subject, simply browse through our site or fill out a contact request form. At Internet Local Listings, we have over 50 years combined experience with SEO and internet marketing services. What is SEO to you? An investment you’d like to make? Something you’d like to learn more about? Whatever it is, Internet Local Listings would like to help. Give us a call or drop us a line on Facebook, Twitter, email, or via our contact form today!